Harper's Ferry, WV. DC. MD. VA.
from route 340 just down from the VA border. I wanted to try and capture the delicate states of Spring in the pale pink blossoms while showing the iciness of a last Winter hurrah. We had a last hurrah from Winter the past couple of days. 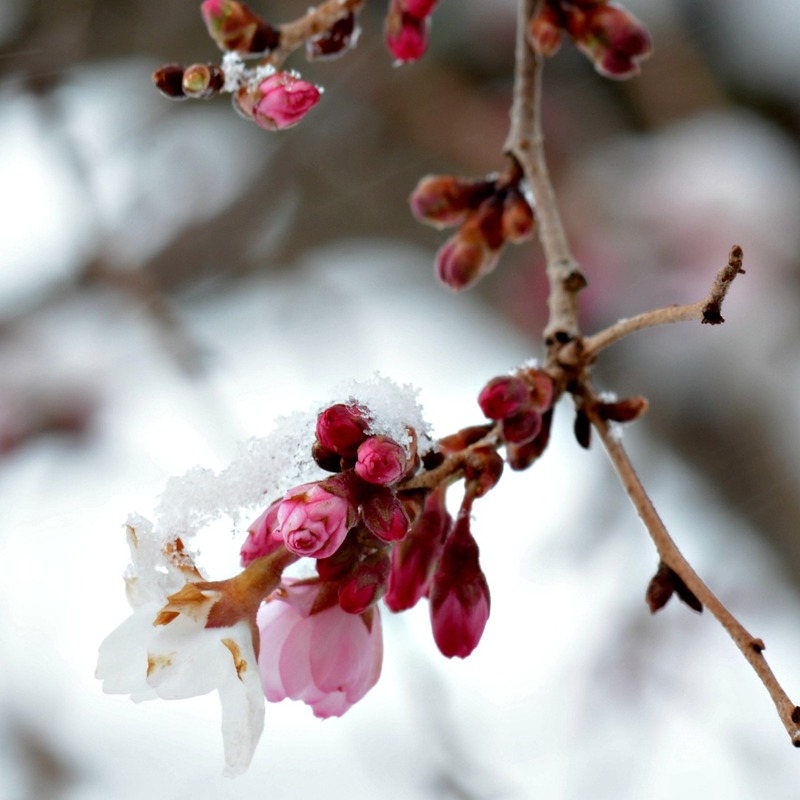 Buds had begun to spring forth on our cherry tree and were blanketed by this last snow storm, their faint pink petals still clinging to branches.